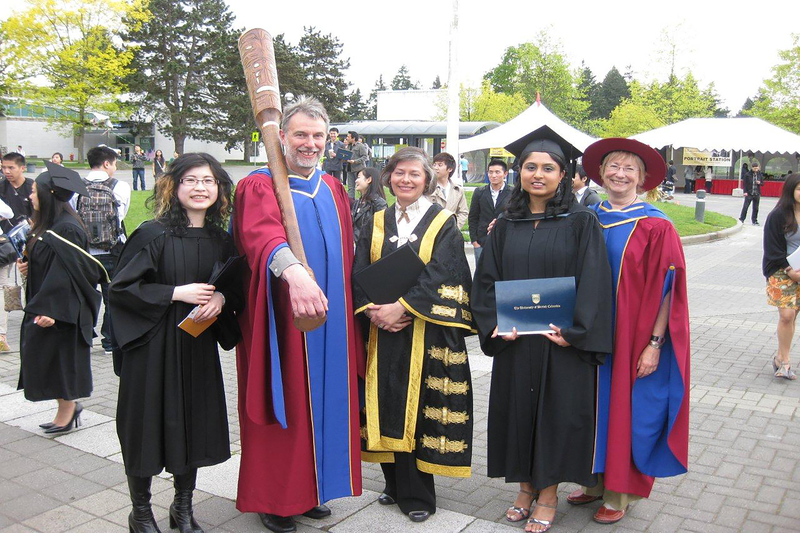 From cancer researchers, policy analysts for governments, health and safety managers for airports, and industrial hygienists, the opportunities available to Master of Science in Occupational and Environmental Hygiene and graduates are myriad, and situated all around Canada and the world. See Globe & Mail, September 12, 2018 article “I want to be an occupational hygienist…what will my salary be? A survey found 25% of respondents were first employed in the Education sector after graduation, 31% in Government, be it local, provincial or federal, 21% in Private Industry, and 15% in Consulting. 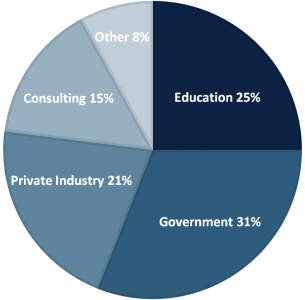 22% went on to further education after graduation from the program, including doctorates. Many of our graduates go on to work for private industry in a variety of roles, including as industrial hygienists, health and safety managers and chemical safety advisors. Consultancy is a dynamic career, and practitioners are contracted by a wide variety of industries to conduct high level investigations, write exposure control plans, or ensure compliance with provincial and federal regulatory agencies. With a Master of Occupational and Environmental Hygiene in hand, graduates have gone on to study for their doctorates and work as faculty members at universities, where they teach classes and conduct research. 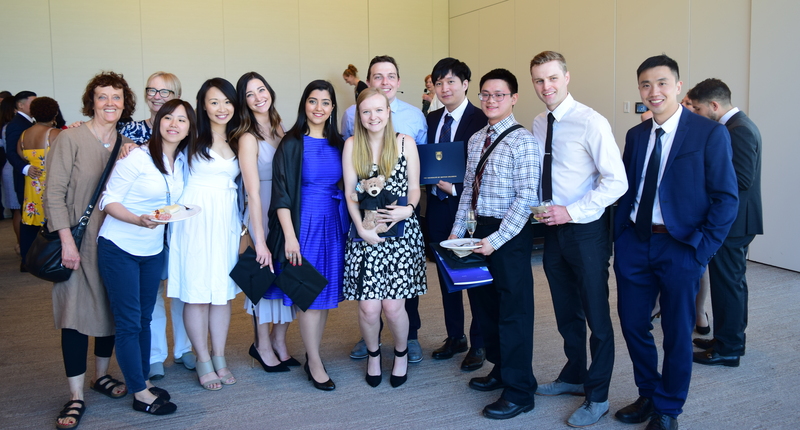 Graduates from the program have gone on to work as policy analysts, statisticians and health and safety officers for provincial and federal governments. Health Authority hygienists provide services to protect healthcare workers from hazardous exposures in a wide variety of settings from tertiary care hospitals to homecare workers. In British Columbia, WorkSafe BC is the agency responsible to provincial government, industry, and labour to ensure worker safety and health, employing policy researchers, compliance officers, and statisticians, among other professionals. What are the salary expectations for this field? The survey found 27% of the 47 respondents were earning between $60,000 and $80,000 while a further 27% were earning between $80,000 and $100,000. Twenty three per cent were earning more than $100,000 per year. A 2010 Cross Canada Salary Survey found the mean income for occupational hygienists with a Masters degree was $90,000 while those with a PhD earned an average of $110,000 per year. Salaries varied from $50,000 to more than $150,000, depending on a range of factors including sector, years of experience and level of responsibility.